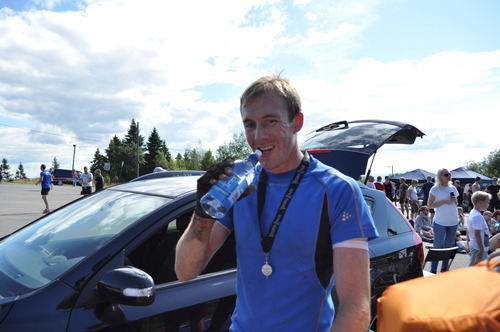 Most of my training this year has been primarily for longer distances and I was therefore unsure of how I would perform at a shorter 5km obstacle race. I therefore decided to take part in a 5km Park Run the weekend before clocking in at 16 minutes and 36 seconds – an encouraging time despite the slightly hilly course! The course ended up being an intense 4km race with plenty of hills to contend with as well as the usual obstacles including numerous walls that were only just possible for me to get over alone; at full jump I just managed to get my finger tips at the top, allowing myself to rearrange my grip and pull myself over…another inch and I would have had to resort to some help. With relatively little hill training prior to the race, the hills definitely took it out of me! But it seems they took it out of everyone else as well as I managed the fastest time of 20 minutes 12 seconds. 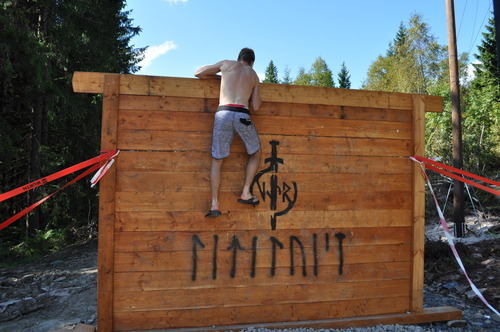 Nevertheless, second place was only 30 seconds or so behind and turned out to be a Norwegian who competes in Army Pentathlon – he later told me it is a sport that combines shooting, obstacle racing, throwing, obstacle swimming and running. 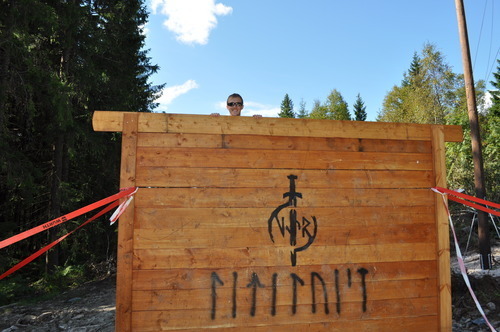 The women taking first and second place in the Viking Race also compete in this sport and had some impressive times as well! It sounds like a lot of fun and good training; I would love to try it one day (though I think you need to have served at least 1 year in the army in order to compete). 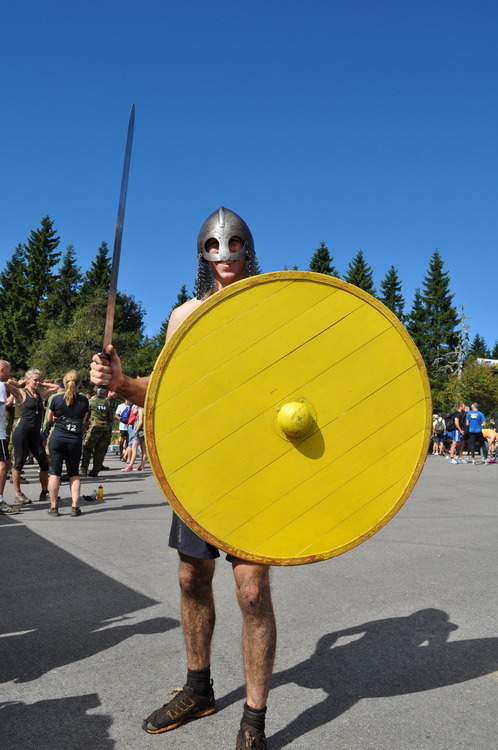 Prizes seem to form a key part of races in Norway and the Viking Race did not disappoint. However, winning a pair of Vibram 5 Finger Shoes was not ideal for me as I have two joined up toes and therefore can’t wear them. The tickets to a ‘Go Ape’ type climbing centre were used the following day and was great fun though. Altogether a great weekend with a challenging race though somewhat short. I look forward to racing again next year as I’m sure the race will be even longer and more challenging. I’m now preparing for my next race… The Nuts Challenge on the 1s of September!